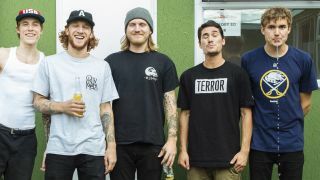 The Story So Far will tour the UK in December, they’ve announced. The 11-date run supports the launch of their self-titled third album, which arrived via Pure Noise Records last month, and can be streamed in full below. Tickets go on sale at 10am on June 5 (Friday) via Gigs And Tours and Ticketmaster.